As you know we’ve been busy with the recent Tween Bedroom Makeover, giving it a lick of paint and some lovely finishing touches. 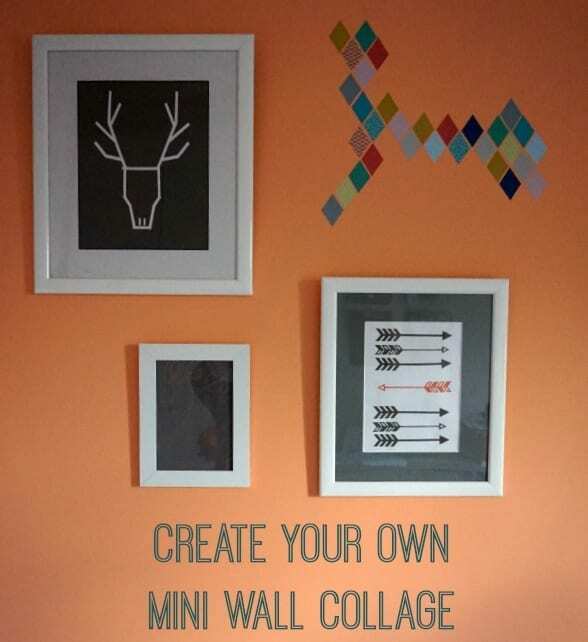 When I was approached by a framing company, eFrames to try out their product and services, it was a great opportunity to create a little wall collage in the new tween bedroom. What do you think? 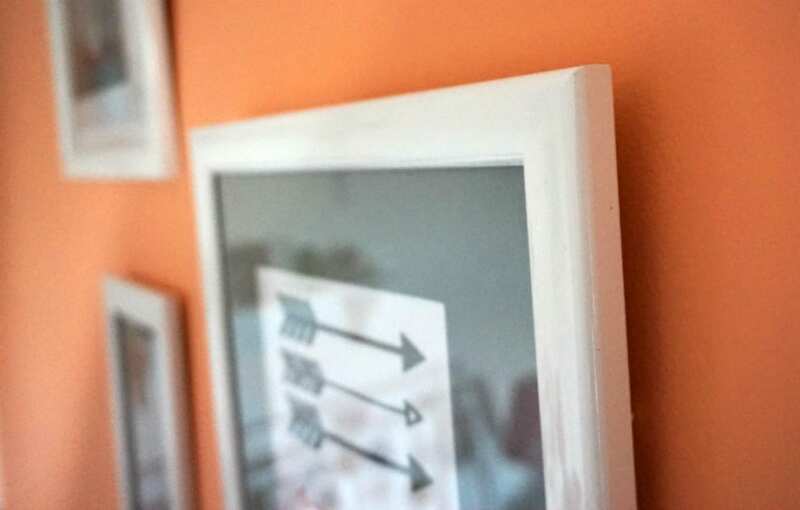 The two larger frames that you see in the images above are from eFrames, a service where you are able to design the exact type and style of frames, as well as adding mounts in a colour of your choice. I used the Frame Studio to create my own styles, in sizes that would suit the artwork I created. I knew that I wanted a contemporary feel so went for white wooden frames with a reflective lacquer finish. The tricky part was adding in the mounts. I wanted to show how a mount can really alter the look and feel of your artwork, but I also wanted to carry a theme through the mini collage. As the wall is such a brighter colour, I stuck with the greys, the darker grey for the paler art, and a chalk white with a black core for the darker art. Building the frame and mount is so easy in eFrames, where you choices and prices are added up as you go. They arrived within 5 days and come complete with hanging hooks. The quality is lovely and the choice incredible. These two frames totalled just under £60, a good price for something bespoke. I’m so pleased with the end result. 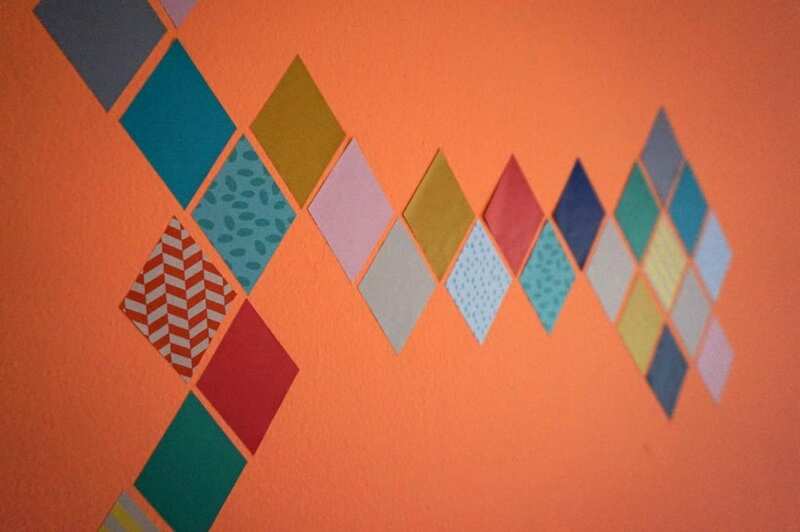 The diamond wall stickers are from Molly Meg and cost just £11. I thought they were a lovely, more unusual addition to the collage. 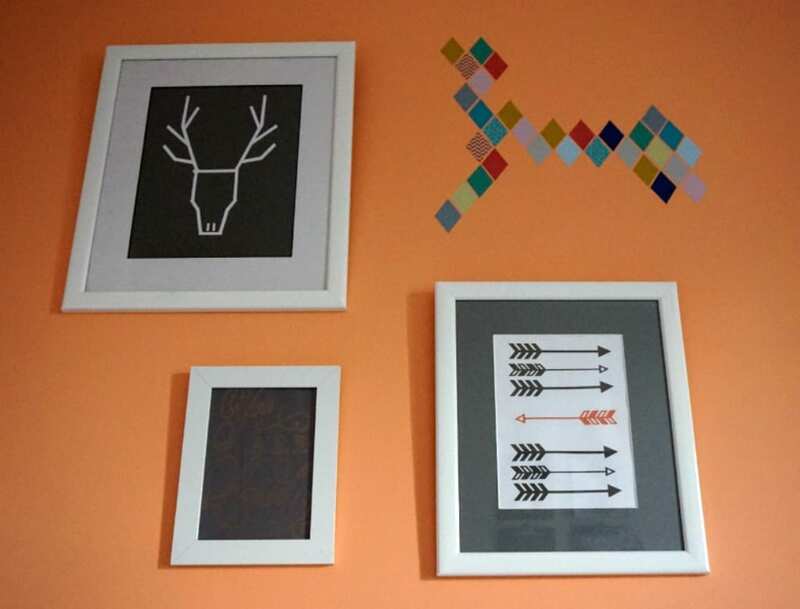 I created all of the artwork in the frames using my Cricut Explore, co-ordinating the images with the rest of the Scandi inspired decor. The tween daughter is thrilled! 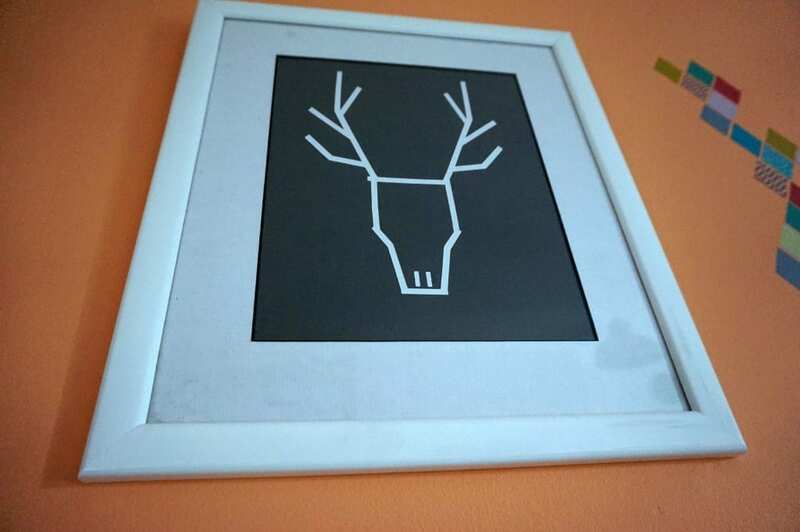 You can’t see it so well in the photos, but the art inside the smaller frame says ‘You are Loved’ which I saw in the Cricut Design Space and printed out as a little extra, popping it into a cheap Ikea frame (there really is no comparison to eFrames!). 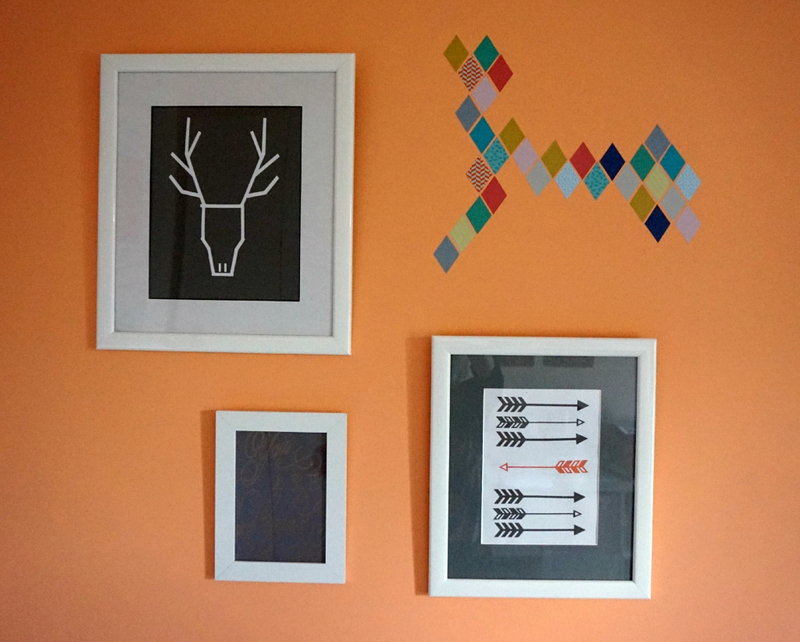 So what do you think of our little Scandi Mini Wall Collage using eFrames? This looks absolutely fantastic. I love a good wall collage. I always try to make it too balanced and it always looks better when its not. lol Great collage you have done Jen.